A. The Structure of the urban environment sets the arena for various functions and influences people’s direction of movement and choice of transportation means. B. Functions such as service, commerce or greenery for example, answer to people’s needs in one way or another and attract people to use the urban environment. C. Activities taking place in the outdoor environment are dependant on both structural and functional aspects to occur. Contrary to public and private space, which simply depicts different categories of space, the ‘sociable space’ comprises also the content and the activities taking place there. For these activities to emerge however, an apt design approach is needed. With design more in line with human needs and desires the urban environment will have a great potential to become sociable. By filling the city with such environments it no doubtedly will become a city of life! 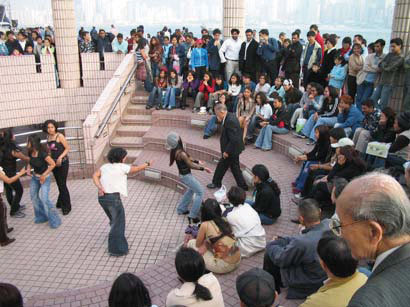 As a basis, the structure of the urban environment sets the arena in which the sociable spaces emerge. The structure promotes the means of transportation people can and prefer to use (or perhaps more true – are forced to use). To attain qualitable sociable space, people will need to be able to safely access the urban environment on foot. Whether it is on foot, by public transports or by other means of transportation people move about in the urban environment, it is of great importance that the connectivity and street linkage is adequately designed. Short distances and an accessible and readable structure encourage people to on foot discover their city, bit by bit. When suitably designed, the structure of an urban environment can encourage people to populate the outdoor environment of a city. The structure sets the base for street linkage and distances. A readable structure designed for nearness and connectedness between attraction points, will simplify the traffic situation and perhaps what’s more important, promote on-foot transportation and activities. Unobstructed passage plays an important role. Walkability can be seen as a prerequisite and without it, walking will never become an attractive option. The structure can in addition encourage people to set up businesses or services if they feel there is a customer base available to them. These services then further encourage people to reside in the outdoor urban environment and a chain of influence to make the environment even more sociable can be started. Through our field study we found that readability of the structure is quite important. We could particularly notice this when we tried to navigate the streets of Kuala Lumpur in Malaysia, without making use of a map. We could see where we wanted to go (Petronas Twin Towers were easy to spot from a distance) but the organic structure of Kuala Lumpur made it very difficult to find which streets that would actually take us nearer to the goal instead of further away from it. One other important aspect is accessibility within the structure. 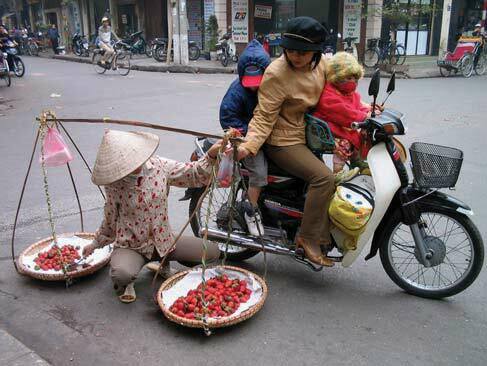 Through our field work, we found that in Hanoi for instance, the motorbike is today the most common means of transportation. The streets and the city neighborhoods are however not always designed for the large amount of motorbikes now populating the streets, causing availability difficulties, particularly where they are being parked. This negatively affects accessibility and a place’s sociable possibilities. Already 1980, William H Whyte wrote: ‘We have given a disproportionate amount of our street space to vehicles, and the time has come to start giving some of it back to the pedestrians from whom it was taken.’30 Undoubtedly, the traffic situation is a problem in Hanoi today and as the city’s population expands and the amount of motorbikes and cars increase with them, the situation will worsen if proper means are not taken to remedy this. Another important aspect of accessibility is accessibility to public transport. If people are ‘encouraged’ to use private means of transportation, the city will soon be flooded by vehicles, pollution and noise. Vehicles will not make the city more sociable - only people do. Public transports are therefore the most important structural aspect of the dense urban environments. 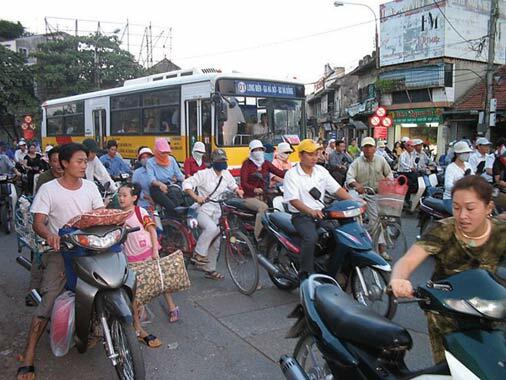 They can move a lot of passengers around the city without causing the many negative effects cars and motorbikes do. Public transports bring in people into the city - not vehicles. Air-conditioned public transportation can provide commuters with an attractive alternative to private car. Busses, trams and subways are excellent at linking different parts of a city together. 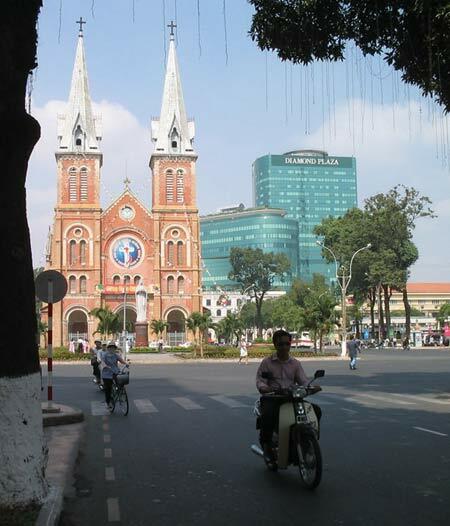 In Hanoi, Vietnam, however (see image above) buses are constantly interrupted and have to struggle their way through. Here as in many other big cities in the world, public transports are yet to be prioritized. 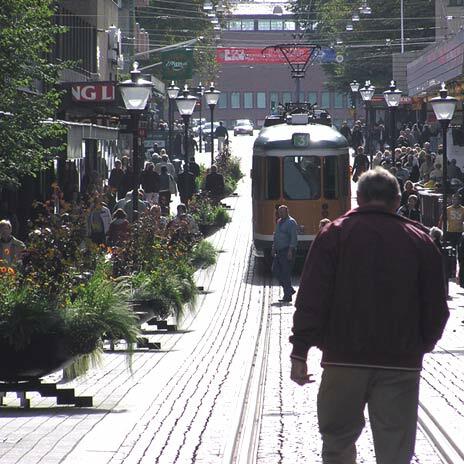 An example from Norrköping, Sweden shows how public transports brings people and not their vehicles to the downtown area. When the tram has passed, the lively city street is safe to cross again. No traffic, no danger, no hassle. 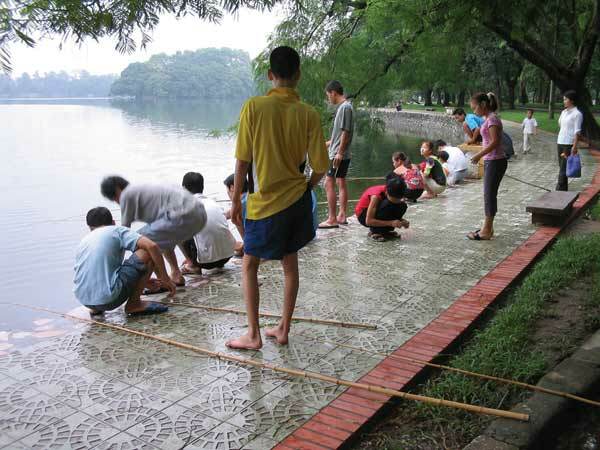 It is the functions in the urban environment that act as catalysts for the sociable spaces. These functions are excellent at attracting people and they thereby animate their closest vicinity. Apart from this they can also activate large surroundings by encouraging activity and movement of people through the urban environment. 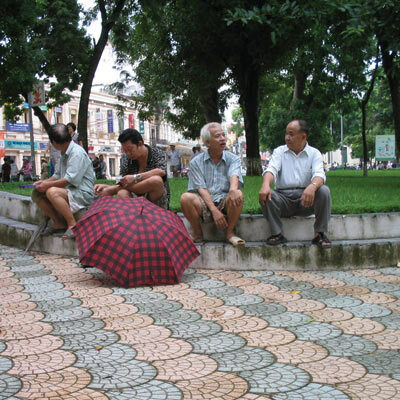 Sociable spaces either emerge in conjunction to functions or alongside the pathways and streetscapes in-between them. These functions can work either separately or together to enhance the qualities of life and culture in the man-made environment and without them, a neighbourhood easily becomes monotonous and grey. As already stated, the design of the structure makes it possible for services and commerce to establish. These functions both provide and enhance sociable space qualities. W. H. Whyte has performed extensive studies of social life in cities. He could see that food stalls, restaurants and shops of whatever kind, attract people to plazas and street-scapes. From his field studies, he could further conclude another important fact; ‘people attract people’. A variety of private and communal services such as schools, sport facilities, pharmacies, health care centres and other public services can besides the actual service they provide also provide their surroundings with people. It seems as there is an invisible chain effect in action, in environments that present vivid city-scapes full of interacting people. Service and commerce are very strong people attractors and people are conversely very strong attractors for service and commerce to establish. Shopping, eating and resting not only provide people with goods, food and a pause it is as well an excellent meeting opportunity providing sociable space. Shopping, both for everyday commodities and for more exclusive goods, is an important cause behind people’s movements in the urban environment. The variety of restaurants and shops, the range of goods put up for sale and the opening hours are important factors that influence the attraction strength of the commerce – making possible an ‘enjoyable flow’ of pedestrians. A strong pedestrian flow then functions as an attraction in itself. Service and commerce can thrive both in indoor and outdoor environments. There are however a few aspects one must bare in mind. The indoor commerce is located in a comfortable environment where weather and climate extremes are sheltered out. Comfort wise these environments have many advantages. They are easy to keep clean, they lack pollution and are generally noise free. They are on the other hand often privately owned and have less accessibility to the public during evenings and nights. These indoor environments are also more regulated and street vendors and other ‘unwanted’ characters are usually prohibited entrance. This way the environment is filtered and what we get to see is only what someone else wants us to see. These environments can therefore be seen only as supplements to the public outdoor environments, since certain activities and events will always be missing. 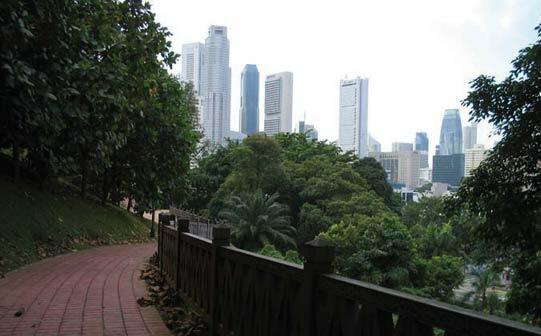 Greenery in an urban environment is important for many reasons. Trees can provide shelter from sun and rain and they can function as a divider of space. A big tree can function as a landmark when orientating in an area and the seasonal changes of the vegetation add a dimension of time. With the seasons changing and blossoms transforming into fruit and berries greenery can provide a wide range of scent and taste experiences. 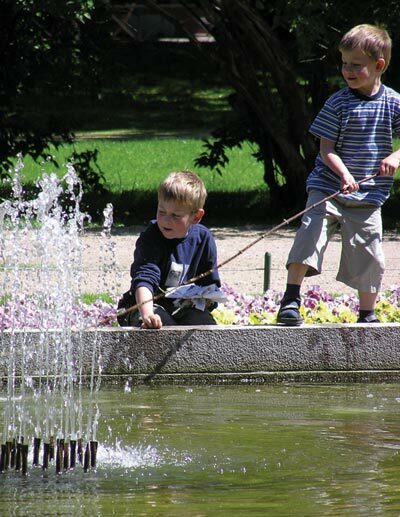 Recreational areas in an urban environment can function as an important source of sociable space. These areas can give room for both people seeking a contemplative atmosphere and for people seeking more eventful activities and recreation. When volumes, materials, colours and details work together, an aesthetical environment can be created. An aesthetical environment attracts people and where there are people there are interactions. However, these environments often need added functionality to improve the sociable space qualities. Places to sit on or activities to take part in are examples of such functions. Buildings have different life span due to qualities of construction and preservation efforts put in through time. History and aesthetics are often interconnected and the historical elements in the urban environments provide a link to the past and make visible the flow of time. 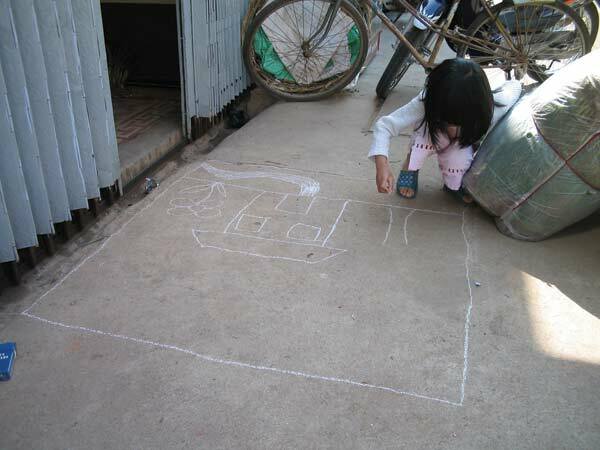 The urban environment has many different activities and requirements to integrate and promote. 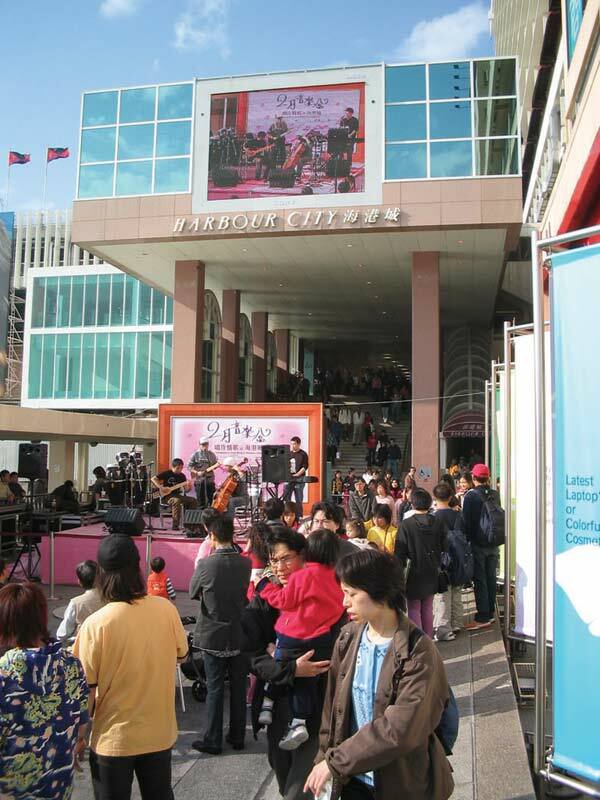 Within the city structure, a large amount of activities require their space. These different types of activities can be divided into five categories. All these aspects of the urban environment are necessary to keep in mind when one studies the sociability in existing neighbourhoods or plan for new sociable environments. The street and the public open spaces have many uses to fulfil. The same environment that to some people only is a nice shopping street, to others function also as an extension of their homes. In areas where apartment space is limited, residents are more or less forced to perform parts of their private life in public. As a result the street becomes an extension of the home, providing inhabitants with extra living space. This is however not the only reason why people leave their homes to spend their leisure time in the public spaces. 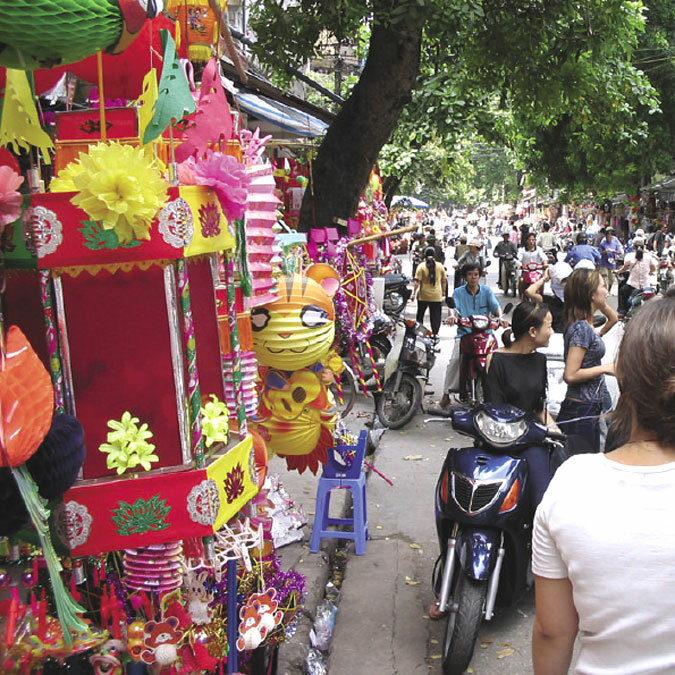 A vivid street life can encourage people to take part in activities on the street, instead of staying at home. 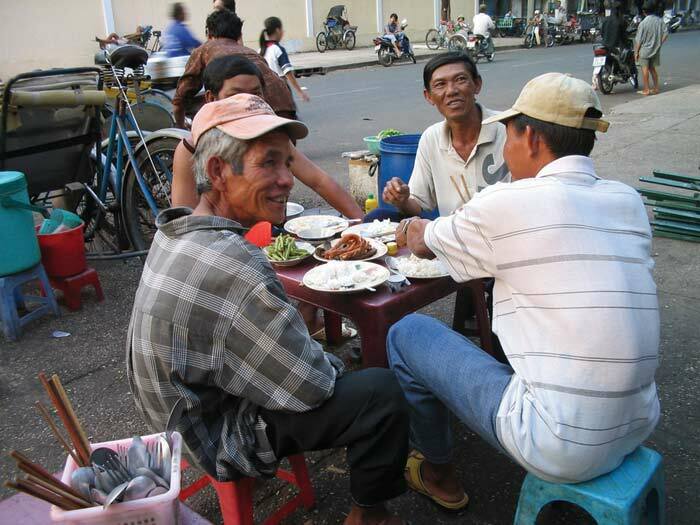 Small plazas, street corner restaurants, food stalls and outdoor cafes function as a perfect arena for socializing. They play an important role, providing the city with restaurants at places where various activities take place. The pavement has temporarily become a sketching-board. The rough cement surface offers a much more convenient material to draw on, than what for example a polished marble tile would have done. A prearranged and 'polished' environment, decrease the possibility for this kind of creativity to flourish. Instead, by leaving room for the unplanned the streets becomes a flexible and ever-changing scene. Dalat, Vietnam. 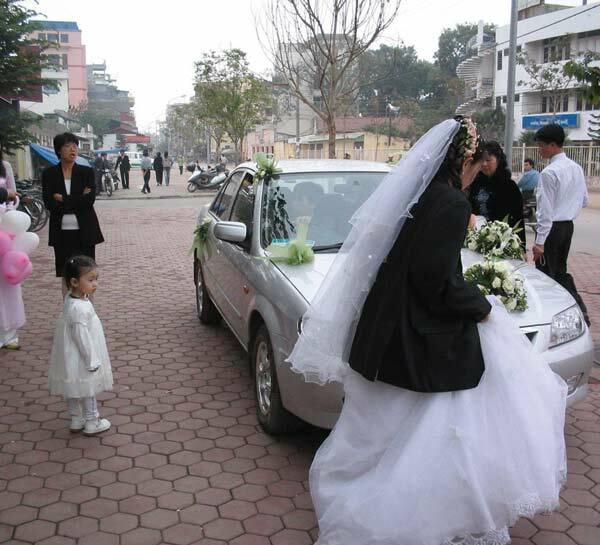 An urban environment has a great possibility to offer both expected and more coincidental experiences. When we are living in an area, we learn about our surroundings and we also learn about what we can expect from it. We also, however, expect it to give us something extra at times, something unexpected and surprising. The unexpected activities can be very small and include just a few people meeting up at a street corner or along a pathway. W. H Whyte found in his research that people without hesitating willingly can stop in the middle of a dense pedestrian flow and have a long discussion with someone they coincidentally met there, without moving away from the busy street. Strangely enough, he found that people passing by did not seem to bother about this obstacle. He also found that people without any concern sat down on stairs or on ledges in front of building entrances or in important pathways, regardless of how busy these places were or if they posed an obstacle to others. One of his conclusions was that people seem to be more attracted to places that are already occupied by other people, than to places that are perceived being more quiet and secluded. We need for the peculiar and unplanned to happen. 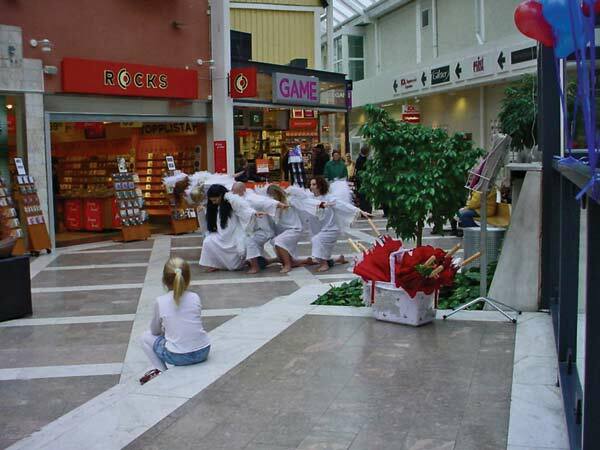 Today a group of angels landed in the city mall. Karlskrona, Sweden. Sometimes temporary events interrupt the steady pace of life. Our lives generate a wide range of these occasional events. Some of them are confined to the privacy of people’s homes, but it is not unusual that these events also require the public sphere to adapt and make room for them. The urban environment needs to have a built in flexibility and be conformable to make possible for the wide range of occasional events to take place. It must be able to fit both the large civic events, but also the small, private events. Celebrations such as birthdays, mourning ceremonies, wedding celebrations and other feasts are examples of private events that sometimes intervene and claim space in the urban environment. Public holidays, religious rituals, festivals, concerts and market days are just a few of all the civic events that now and then require space in the public sphere. The occasional events often involve a large amount of people and this makes it vital that the structure allows these occasional events to take place without disrupting accessibility and important functions nearby. We learn from experiences and from interactions with people and the physical environment we live in. A responsive and creative environment can provide us with a daily dosage of stimulating challenge. People have a variety of moods on their repertoire and some of them are outwardly directed and others are of a more introvert character. 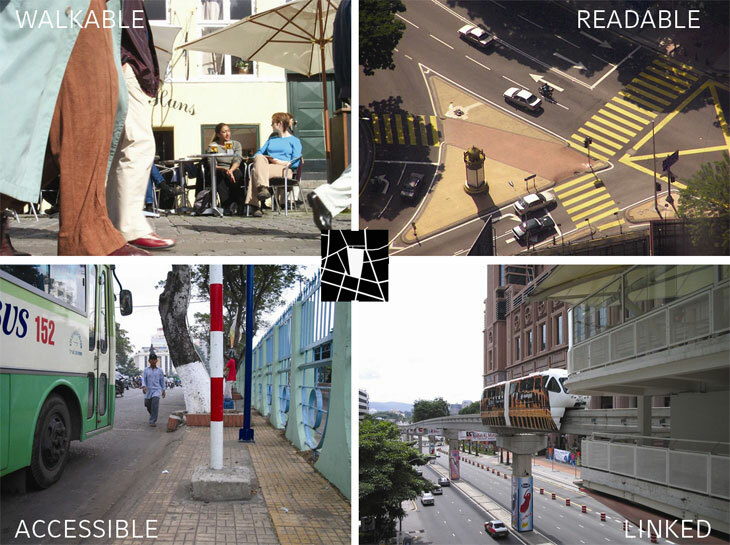 A city should be able to supply environments that fit people’s diverse frames of mind. This diversity can be originating from things like age, current mood or type of personality. Especially children and teenagers constantly have to redefine their self-image. Their surroundings and people they meet give them influences that help them form an identity. All meetings between people are unique. An environment that makes people come together and interact can therefore offer an infinite amount of instructive challenges. We learn from all our senses and become inspired by people we meet or observe. 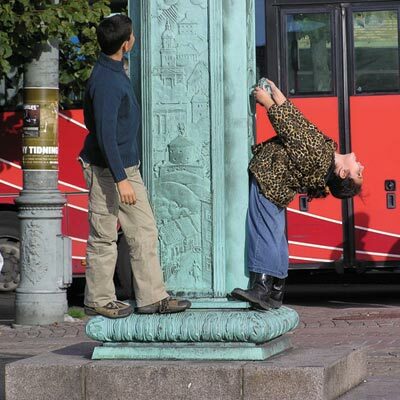 We also learn from experiences gained from interacting with our physical surroundings. C.C. Marcus and C. Francis have published design guidelines for urban open space. In their book 'People Places', they discuss important requirements people have on their environments. They found that cities often have a shortage of environments that can provide excitement and challenge for young people. 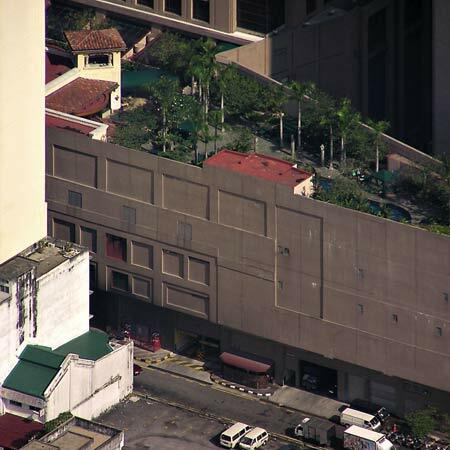 The urban environment is sometimes designed to protect us from the risky and adventurous. This way it unfortunately deprives us from necessary and sought after dares, they mean. To be able to grow as individuals we need the occassional challenge that makes us evolve beyond our thought limit. What if the world was upside down? In a city there is a need for both calm and lively environments. 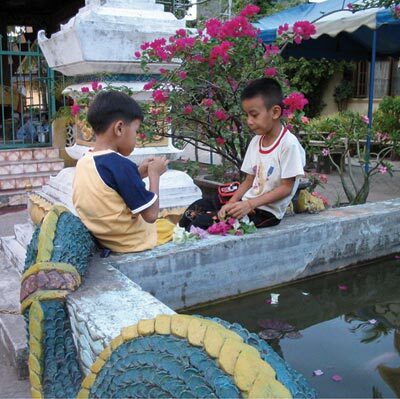 Sometimes we look for a more secluded and quiet place and other days we prefer a busier and more exciting surrounding. When both are combined into one, where a quiet and a harmonious space lies directly adjacent to a busy pathway much can be gained. People can then easily move between the two ‘extremes’. The concept comprises ideas on how the structure of the urban environments sets the base for where certain functions have the possibility to appear. These functions in turn are the attractors of people to the urban environment and further work as sources of various kinds of activities. By planning an environment for people it will undoubtedly have the possibility to become a popular and sociable meeting ground.